The weather reports suggest it’s going to be raining huge, shiny, metal men soon. Codex Astartes names this maneuver “Steel Rain”. Titanfall is something of a criminally underplayed game series, mostly having to do with EA’s inability to handle the IP well. The original Titanfall came out in a time when publishers didn’t really get this idea of “live services” and while Blizzard had the thing pegged down (except for Destiny, for some reason), Ubisoft had not yet published their charts, so they were confused about a gameplay model developers were implementing successfully for years. So Titanfall 2 came out very quickly after Titanfall, as EA at the time didn’t yet get that you can’t release a primarily online game again and again, you need to commit. 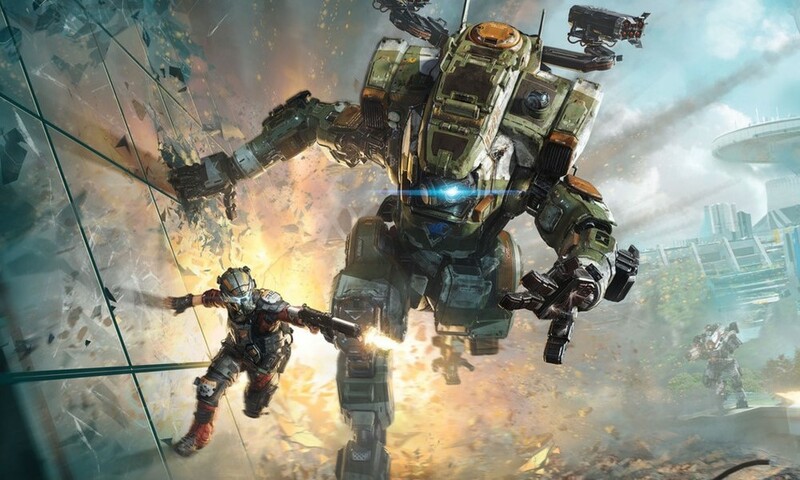 EA didn’t really commit and Titanfall 2, even though a really good game with one of the most competent mech-piloting mechanics in gaming and a really solid single-player campaign, fizzled out into a landscape of empty servers and lack of content. Which is a shame, because Titanfall holds a lot of promise. And it seems now Respawn, the developer responsible for both previous games, are gearing up for a third attempt. Multiple various job listings went up earlier this week, all having to do with Titanfall. How well will hiring new people to make another entry in a series with some very specific kinks work is anyone’s guess, but then again EA has been doing that for years. We currently still don’t exactly know if this even is Titanfall 3 or just something Titanfall related but Lord knows it’s high time for a new proper game in the series. Now my personal hope is that it’s going to have an even bigger focus on the single-player campaign and an optional multiplayer mode, but unfortunately that’s unlikely. But hopefully, if they’re hell-bent on focusing on the multiplayer, this time they’ll properly focus on it, you know, Overwatch style, with continuous support and stuff. It’s a parkour-centric, fast-paced shooter with mechs for crying out loud, there’s so much that could be done with that, that not doing so is frankly criminal. So here’s to the new Titanfall. You know what they say, ‘third time’s the charm’, right?